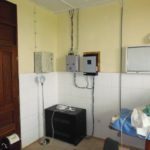 In 2015, Energy Assistance asbl-vzw and ENGIE Asia Pacific worked together to renovate the electrical installation of a school that welcomes visually impaired children in Ulaanbaatar, Mongolia. This year, a second project concerned the hearing impaired children school. The opportunity for two Energy Assistance volunteers, Jean-Paul Vanherck (Technilift – ENGIE Cofey subsidiary) and Amy Li Jing (ENGIE China) to work at the renovation of the electrical installation. 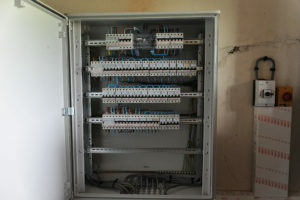 The works included the installation of new electrical boards, cabling, earthing & some lighting. 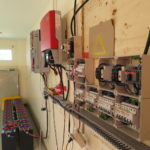 A team of three local volunteers of Ulaanbaatar coordinated by Myagmar Erdenetugs “Tugsuu” (ENGIE Mongolia) has also contributed to the success of this project. 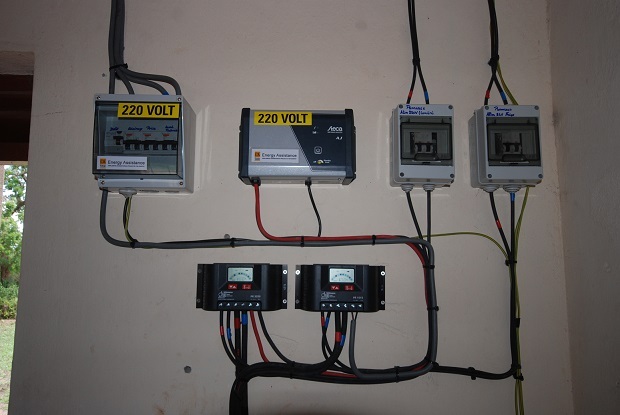 The electrical renovation was urgent as the school set up in the year’s 80 was facing to safety issues. As last year, part the financing of the project was covered by the Energy Assistance 2015 greeting cards’ sales. 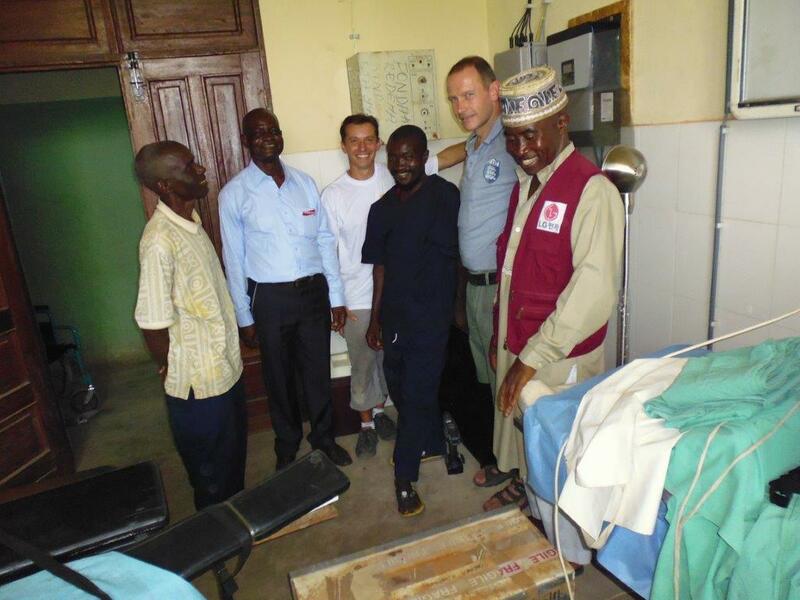 This operation wouldn’t have been possible without the help of volunteers and the support of ENGIE Tractebel Engineering. Thanks also to ENGIE Mongolia which help us in all the logistical Issues on place and especially to Tugsuu. 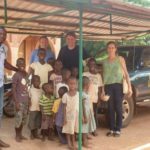 The mission managed by two Energy Assistance Volunteers had as target to electrify the day clinic of Mivakpo, situated about a hundred kilometers from the Lomé, the capital of Togo. Energy Assistance’s action covered four different sites and aimed to secure and to improve the interventions of the medical staff (doctors, nurses) on the spot. 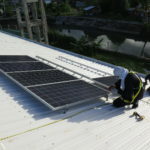 A full installation of 4 solar panels was put in place. The electricity produced by these panels, supplies the lighting in the delivery and the waiting room and foresees the sockets in the medical staff’s office of power. 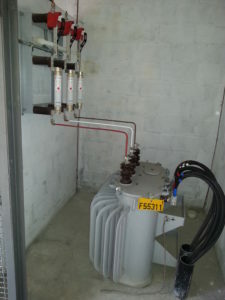 Another two panels are dedicated to powering the fridge, where vaccines and medications are kept. 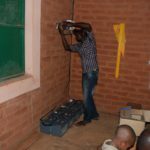 At the same time, Energy Assistance volunteers, analysed the broken down panels of the orphanage and day clinic at Wli and the day clinic at Meduime. The team managed to replace the batteries and the faulty regulators. 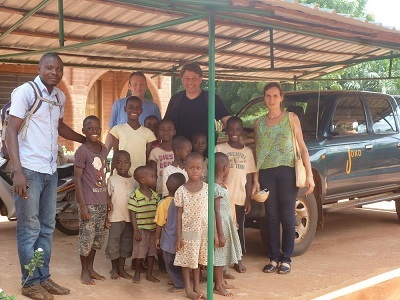 During this stay, the efficient help and the lodging provided by Sylvia Roovers from the Joko Togo Association, were crucial to the succeeding of this multifold mission. Tacloban, a city on the Philippine island Leyte, situated in the middle of the Pacific. 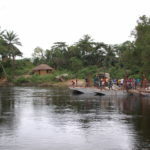 Just at the edge of a river, is the children’s village “SOS Children” located. A real village with a.o.a community house. In 2013, a typhoon tidal wave very heavily damaged most of the buildings. 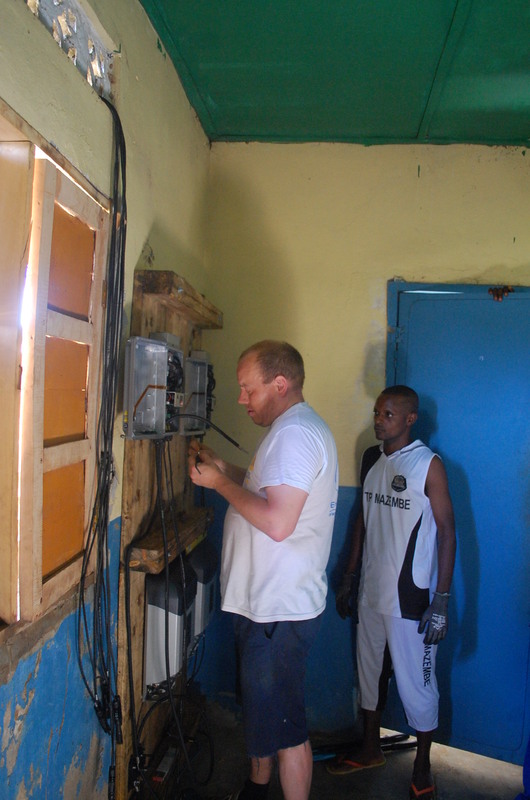 Bob Thielemans (ENGIE Benelux) was on site to help and support the local population. Very fast the idea of an electric project, to create a safe place and protect the children during typhoons and floods, arose. To start with, a solid community house was built. 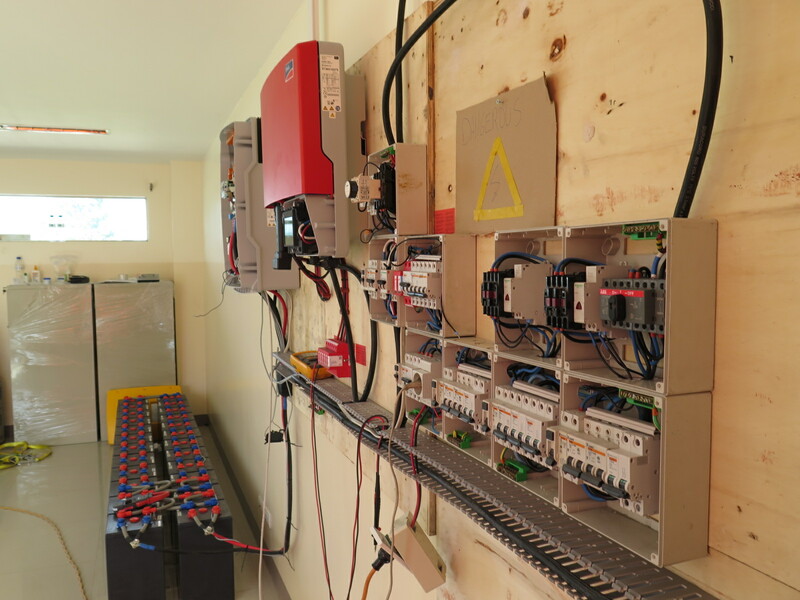 This installation provides electricity for up to 2 days for the lighting, two refrigerators, a hydrophone pump, an emergency radio-transmitter and several small electrical devices. 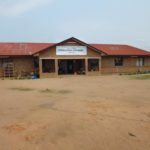 The non-profit association Abantu Zambia has been active in Zambia for more than 20 years and has already built numerous dispensaries, schools, libraries, wells, millsand other agricultural facilities for local populations. 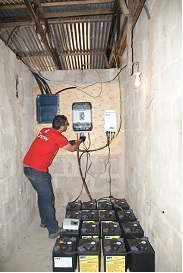 Energy Assistance has already implemented one project together with the association. 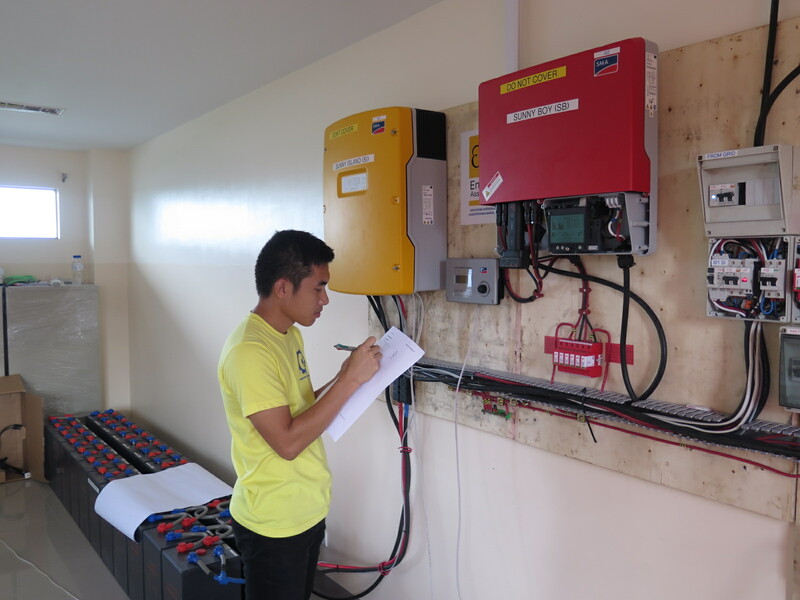 Energy Assistance took charge of installing solar panels and batteries. The volunteers on the ground, Marc Van Gelder (ORES) and Steve Begasse (Cofely Services) also had to provide assistance with the assembly of a water tank. 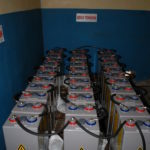 A visit to Muntemba had also been planned to replace the batteries installed several years earlier in another, similar health centre. 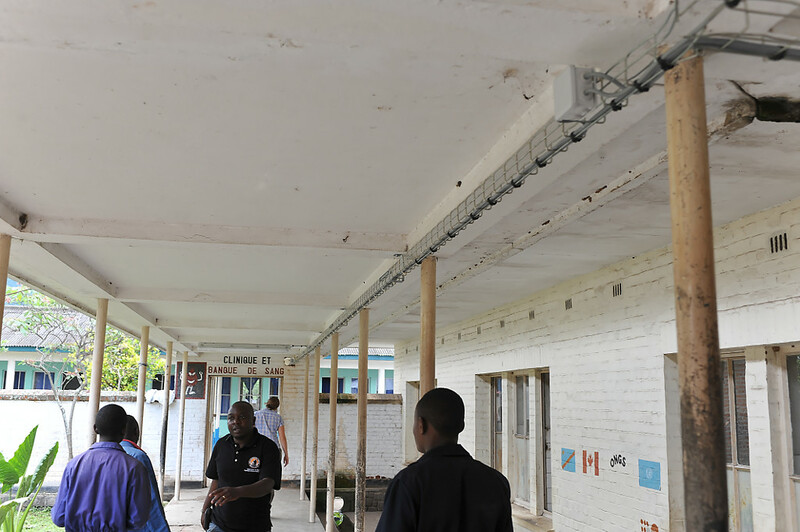 The aim of the project was to equip a dispensary and a maternity unit with lighting and electric sockets. 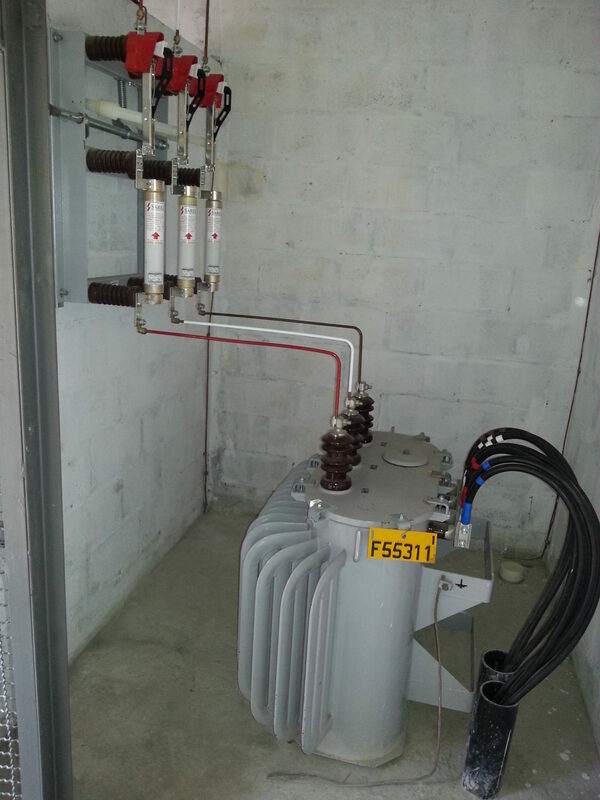 A solarpowered submersible pump kit was also assembled and installed. 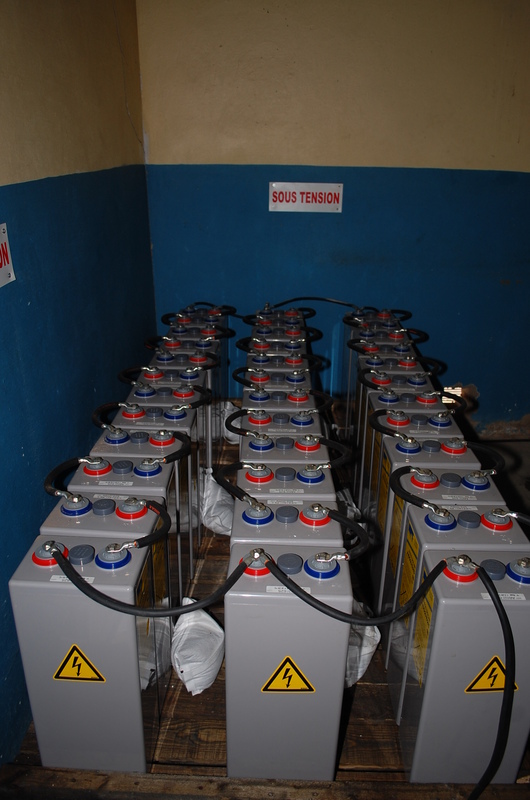 Buying a large proportion of the equipment locally lowered the project’s procurement costs and saved on transportation. 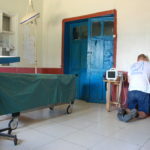 A new dispensary, which had received planning permission from the local authorities, was set up in Muchinga in a region without any healthcare infrastructure. The next dispensary is 25 km away, whereas in rural parts of this impoverished country most people still travel around on foot. The Zambian state is in charge of administering and staffing the dispensary. The first two nurses have already been recruited. 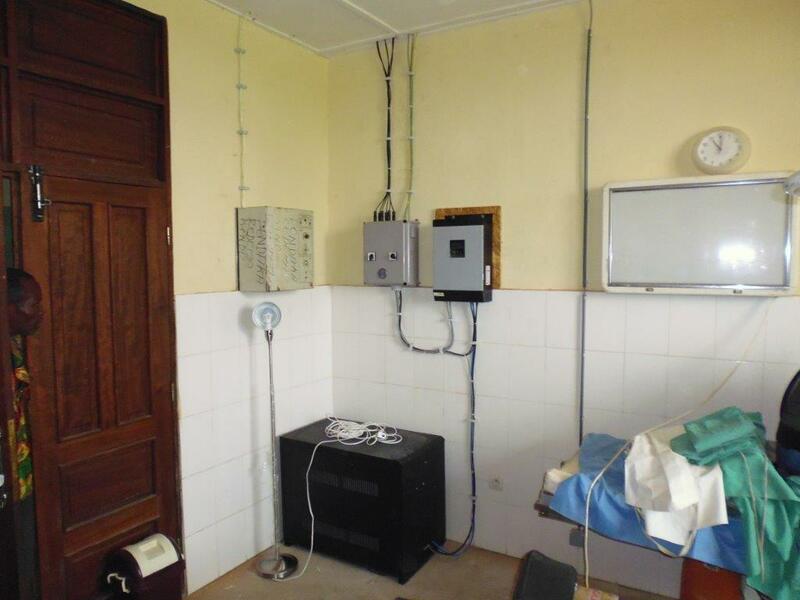 Last September and October, electricity was installed in various social buildings (mainly hospitals and schools) in the Mutwanga urban area, situated in Northern Kivu, in the heart of the Virunga National Park. 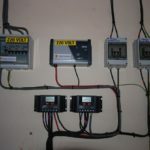 The installation was realised with the help of Energy Assistance. The requestor, the “Virunga Foundation”, is strongly involved in the Park management by means of securing the safety of the Park Rangers who fight poaching and deforestation. 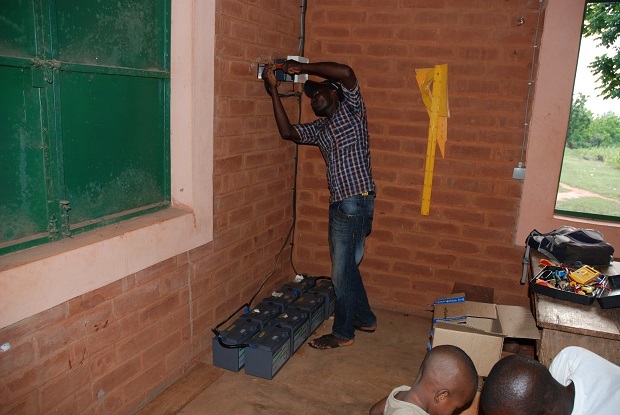 Thanks to EA volunteer, the electric installation for the hospital and 4 schools was designed and described in detail. 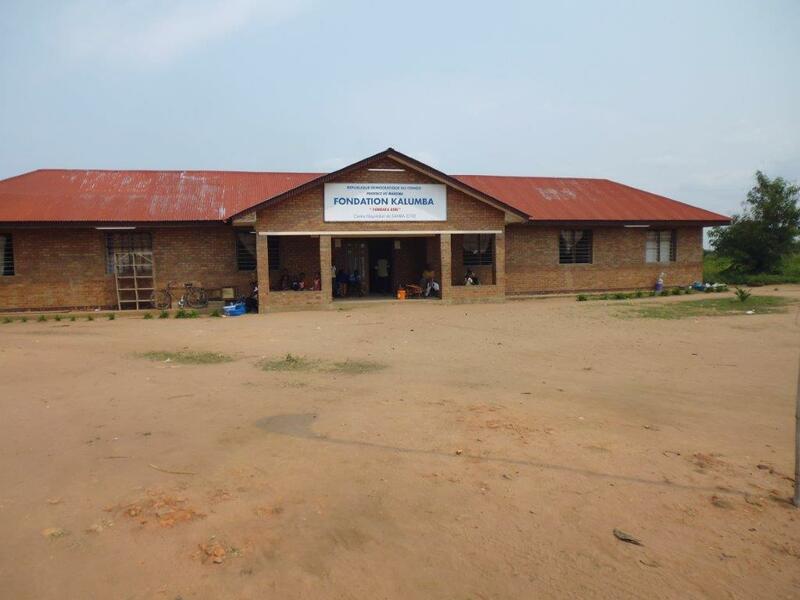 Once the material had been ordered, it was shipped out to Kivu via the Republic of Uganda. 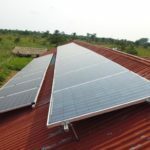 Due to the unstable situation in the Mutwanga area, the technical teams of the Virunga Foundation had to rely upon their own resources to undertake the installation. Luckily they had the support of our volunteer, who was in regular contact with them, and coached them to accomplish their mission successfully. This to great satisfaction of the beneficiaries and the local population. 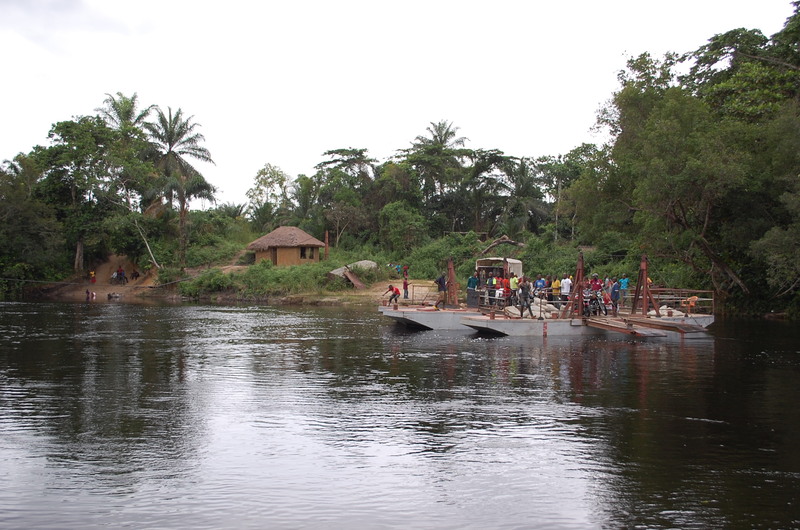 Last September, Energy Assistance has sent two volunteers to the village of Samba in de Maniema Province in DR Congo. 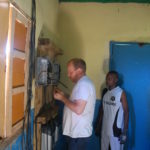 Our specialists volunteered there for ten days to provide solar power to the village. 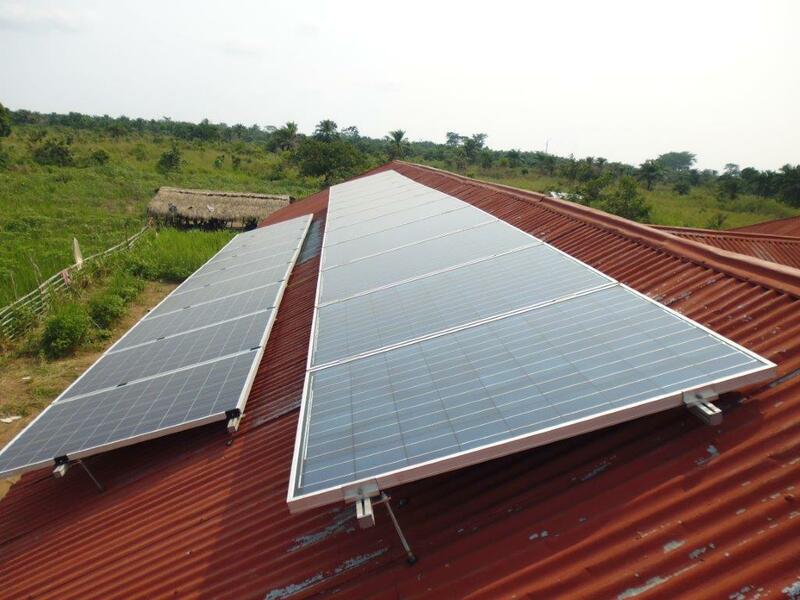 They installed photovoltaic panels at the village health center that houses a maternity and a small laboratory. 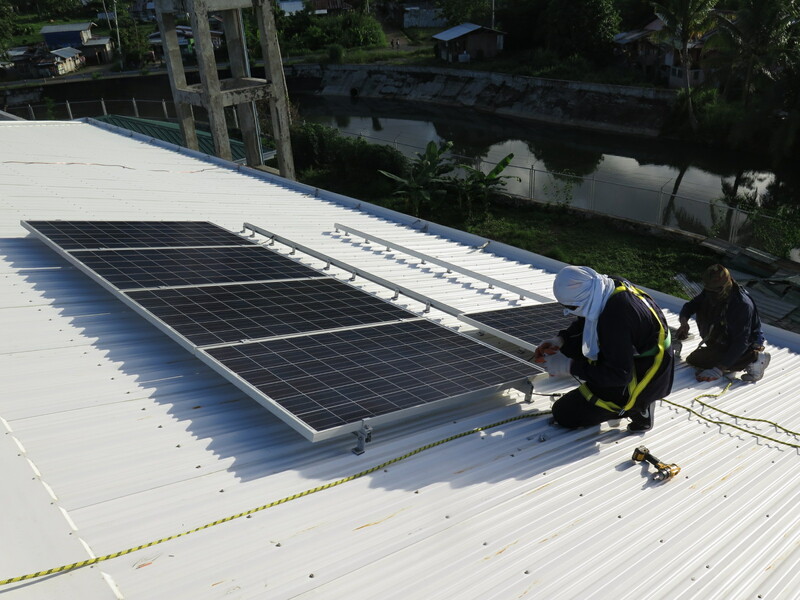 With the help of three local technicians, the volunteers installed 4.5 kW of photovoltaic panels. 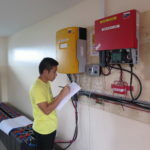 They also trained these local technicians so they can provide the maintenance. 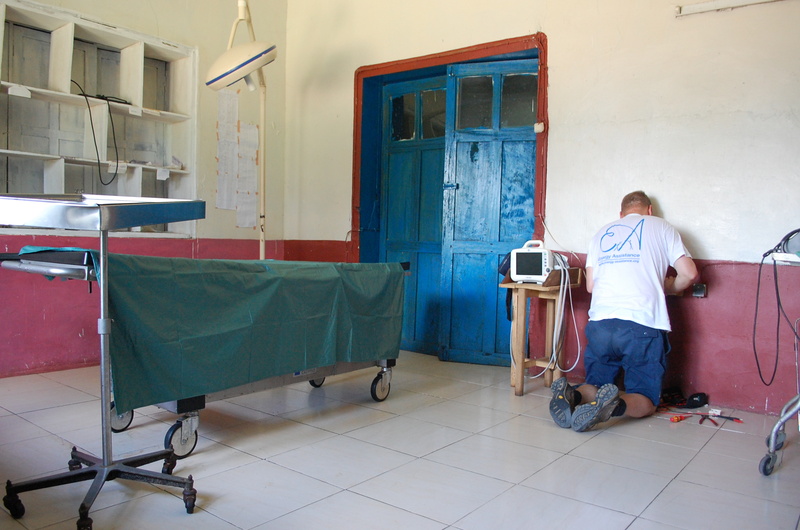 Serge : “The mission was very rewarding as we witnessed the first ultrasound being performed, something that was not possible before. 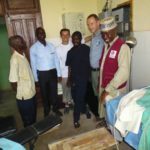 Energy Assistance not only brought electricity to the health center and its neighboring villages, but also lets us keep both our feet on the ground and lets us experience this unique inspiring moment”. 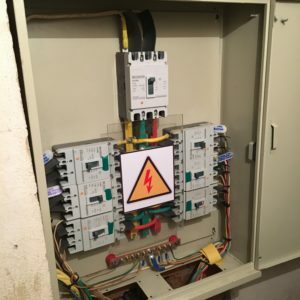 Energy Assistance asbl-vzw and ENGIE Asia Pacific worked together to renovate the electrical installation of a school that welcomes visually impaired children in Ulaanbaatar, Mongolia. This project was made possible thanks to the joint efforts of two Energy Assistance volunteers and a team of local volunteers. 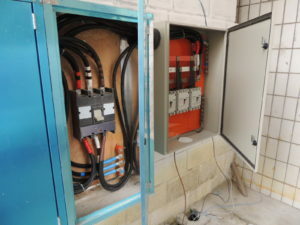 Oyungerel Tseren (ENGIE Mongolia), who ensured the coordination of the project in Ulaanbaatar, has also contributed to the success of this project. The renovation was urgent, as the school set up in 1964 regularly faced power cuts, failures and other issues due to lack of funding and maintenance. 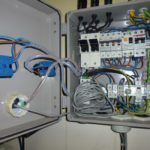 Children and school staff also faced security risks because of the poor electrical installation. Besides the main switchboard, the volunteers also replaced distribution boards on each of the three school floors. Afterwards, they renovated the electrical wiring of the attic where the district installation is. In Ulaanbaatar, outdoor temperatures often drop below 40°C in the winter. 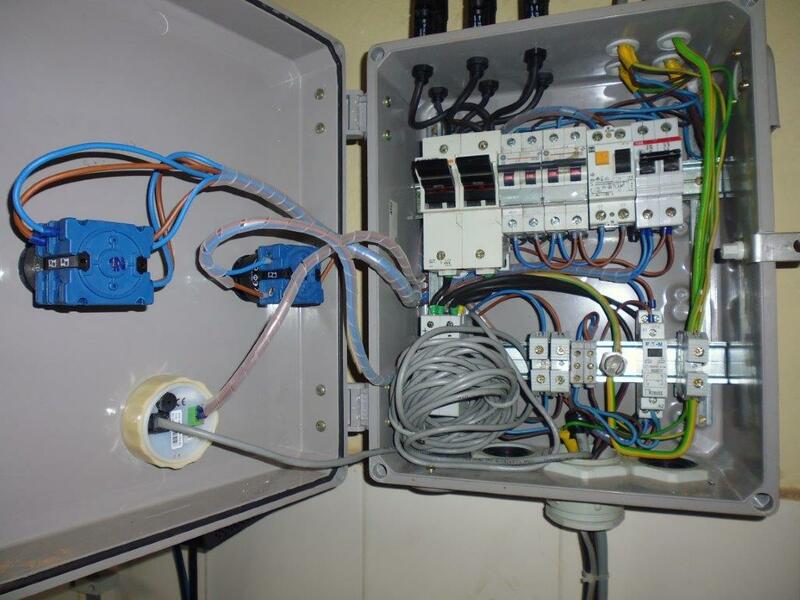 It is thus important to be able to monitor and check the heating system regularly. Finally, the team participated in the revamping of the school showers. The financing of the project was for the major part covered by the Energy Assistance 2015 greeting cards’ sales. This operation wouldn’t have been possible without the help of volunteers and the support of Tractebel Engineering.